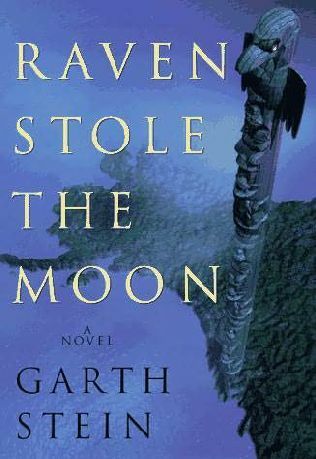 1) Raven Stole the Moon by Garth Stein - this book seems to be all over the blogging world lately. I know it has had a tour,but I saw that Chris over at Stuff As Dreams Are Made Of reviewed it and loved it and I do trust his judgement. I thought it would be an ideal read for me as it moves to my next stop on my American tour, Alaska. Her upscale Seattle lifestyle lost meaning for Jenna Rosen when her young son drowned in Alaska. On the second anniversary of his death, she impulsively takes a ferry to Wrangell, where she grew up and which is not far from the drowning site. Once there, Jenna often feels menaced; even as a dog appears to protect her, shape-changing kushtaka (Indian spirits) repeatedly threaten her life?corporal and eternal. Her husband, Robert, arrives in Wrangell after he learns from a private investigator that she is living with a young fisherman. Only when a shaman risks his life to save Jenna and to help put their son's soul to rest are the Rosens able to resolve their grief. I found this one over at Diane's blog Bibliophile By The Sea. I was interested in this book after reading that it was based on a true story. Here is the blurb from Booklist. Four slave women accompany their masters to a resort in the free state of Ohio in the mid-1850s. Lizzie actually loves Drayle, the father of her two children—a brown-skinned boy named for his father and a girl white enough to pass. Reenie is the half sister of her owner, a cruel man who passes her along to the resort manager. Sweet is pregnant and has a relatively amiable relationship with her master, while Mawu is a wild red-haired woman bent on freedom from a cruel and violent owner. Frustrations mount as they consider their options, tempted to take advantage of the help offered by free blacks and a Quaker woman. But they are guilt-ridden about the prospect of leaving their children behind. The women rely on each other for support as they come together for three summers, catching up on their lives of woe and occasional joy. Drawing on research about the resort that eventually became the first black college, Wilberforce University, the novel explores the complexities of relationships in slavery and the abiding comfort of women’s friendships. Now you know I will read anything with angels in, so this book could not pass me unnoticed. The Nephilim were on the earth in those days Genesis 6:4 When Sister Evangeline finds mysterious correspondence between Mother Innocenta of the Saint Rose Convent and legendary philanthropist Abigail Rockefeller, it confirms Angels walked among us – and their descendants, the cruel Nephilim, still do. Indeed, the Nephilim are hunting for artefacts concealed by Abigail Rockefeller during the Second World War - objects that will ultimately allow them to enslave mankind - and have so far been prevented from reaching their apocalyptic goal by one, clandestine organisation: The Angelology Society. And if the Angelologists are to stand any chance of winning this new battle in the ages-old war, they must find the artifacts first. But their fate rests in the hands of innocent Sister Evangeline, who holds the key to unlocking Abigail Rockefeller’s hiding places … and whose own destiny may yet find her prey to the terrifying Nephilim army, with horrifying consequences for humanity. I found this one over at Alyce's blog At Home With Books. It was part of her Friday Finds last week. Here is a the blurb from Amazon. That's my Friday Finds, what wonderful books did you find lately? Like the look of Wench! Here is my Friday Find: The Cold Room by J T Ellison. Great finds. I'm watching my mailbox for Raven Stole The Moon (I won a copy from a blog giveaway). 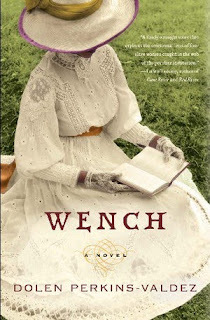 I've read great things about Wench and hope to read it eventually. I'm dying to get my hands on Wench. I won a copy of I am Nujood and am looking forward to reading it. My sister used to live in Yemen and she said selling a child of 10 into marriage is completely haram (shameful) in that culture/country. She said people over there were pretty horrified to hear what this girl's parents did to her. Great finds! I've heard good things about Raven Stole the Moon. Mine is at The Crowded Leaf. Angelology and I Am Nujood appeal to me. I hope you like Wench; Raven Stole the Moon was not a favorite of mine. These all look so good! I haven't discovered any new books as am utterly emmersed in the Sookie Stackhouse series. Still! *g* Just about to start the third one. But did just get sent a lovely parcel of three books from a friend. Two are fiction books - The Book Of A Thousand Days which is based on a Brothers Grimm story so can't wait to read that, and Changeling! Vivienne, I read and reviewed Raven Stole the Moon, Garth Stein's first novel, which has been recently re-released. I hope you'll enjoy it! Angelology and I Am Nujood sound really good. Wench does, too. Fabulous finds! 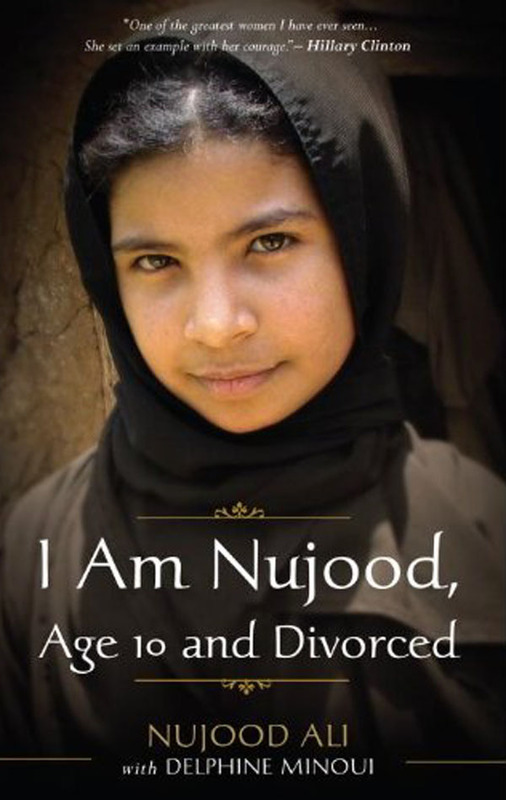 I just bought I Am Nujood a couple weeks ago...am really looking forward to it. Why can't the world just stop for a while so we can get all these fantastic books read?!! I've got Wench and Angelogy in my pile to read. I love this cover on Raven who Stole the Moon better than the one going around. Nice covers. They seem like great reads. Thanks for sharing! Wench and I am Nujood both caught my attention as well. I really like the look of Angelology. Not too sure about the book of the girl who was divorced at 10 though - I'll be very interested to read your review of this one. I have Raven Stole the Moon to read and am looking forward to it. You have posted an interesting list of books. great finds! 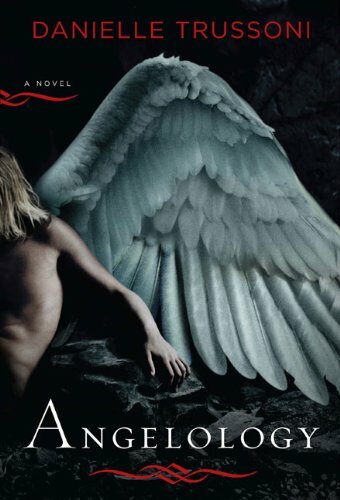 I like the cover on Angelogy. I added Wench to my wishlist. I think I am Nujood by Nujood Ali sounds like an important read, but I don't think I can bear to read about child abuse. I'm not denying that it happens or closing my eyes I just cannot stomach to actually read about it.